Federal tax reform through the 2017 Tax Cuts and Jobs Act (TCJA) provided some of the most significant tax-saving opportunities for businesses in more than 30 years. While the lower 21% tax rate for C Corporations garnered much of the attention, small businesses also received some advantageous new benefits. The challenge is that some of the new small business benefits are fairly complex. This is especially true for the 20% Qualified Business Income (QBI) Deduction. It offers the greatest tax benefit to small businesses in more than 60 years, but obtaining the maximum deduction involves some sophisticated calculations and planning. While tax planning is always valuable, it’s even more important for 2018. The TCJA contains significant changes that provide substantial tax savings, and also reduced deductions that will increase a business owners’ tax liability. Many businesses are not set up to account for these changes in order to take full advantage of the opportunities available. The sooner you start planning, the better position you will be in to use these new tax changes to reduce your 2018 tax liability. The TCJA also includes significantly increased accelerated depreciation options. The choices businesses make regarding depreciation will impact their QBI deduction. We’ll start with a quick explanation of the Qualified Business Income Deduction. In a nutshell, the deduction allows a qualified small business owner to not pay income taxes on 20% of their income in tax years 2018 through 2026. The deduction is available to owners of sole proprietorships, partnerships, S Corporations, LLCs and estates and trusts. 20% of the taxpayer’s taxable income, less net capital gains. A business owner earns $100,000 in a sole proprietorship, but with $30,000 of deductions, his taxable income equals $70,000. The owner can take advantage of the QBI deduction, but the deduction is based on his taxable income instead of his QBI – or the $70,000 – because it’s the smaller number. His QBI deduction equals $14,000, 20% of the $70,000. Unfortunately for many people, the calculation won’t be this easy. Restrictions kick-in to reduce the benefit when a taxpayer’s income exceeds certain threshold amounts and there are a different set of qualifications for so-called service businesses, including doctors, lawyers, accountants, performing arts, athletics, financial and brokerage services. If you’re over certain income levels, you may only get a partial benefit, or no benefit of the QBI deduction. See the chart below for the levels. So how can a business owner affect his or her qualified business and taxable income? This is where tax planning is essential. If your taxable income is more than $157,500 for single filers or $315,000 for all other taxpayers, it might be worthwhile to look at ways to reduce your taxable income. However, with the reduction or loss of many personal deductions – including state and local taxes and miscellaneous deductions – your options are fairly limited. The best remaining option is to consider making increased charitable contributions. Business owners in non-service businesses above these income levels should look at the wages they pay. The amount of W-2 wages your company pays impacts your deduction, as the provision was designed to reward companies that employ people. Business owners should consider a change to their own wages to increase the QBI deduction, as long as the change is “reasonable,” because we think the IRS is going to be looking closely at owners’ wages and any changes. The IRS requires business owners pay themselves fair and reasonable compensation, and any wage changes must still meet those guidelines. Changes to your wages will impact your social security benefits. If you use independent contractors, consider the pros and cons of changing them to employees. If you use a staffing agency, you may be able to get the benefit, but you’ll likely need a written agreement with the staffing agency to allow you to claim the wages for the QBI deduction. Both Bonus Depreciation and the Section 179 expensing election were greatly increased in the act. Both methods can be used to accelerate write-offs of business asset purchases, including qualified building improvements, computer systems, vehicles, machinery, equipment, office furniture, etc. First year Bonus Depreciation was increased from 50% to 100% and can now be taken for both new and used qualifying property through 2022. For Section 179 expensing election, the maximum deduction was increased from $510,000 to $1 million with the phase-out threshold increased from $2.03 million to $2.5 million. While these increased opportunities can bring larger tax savings for businesses, they also will affect a business owner’s QBI deduction. Using accelerated depreciation reduces taxable income, which in turn reduces the QBI deduction. So which is more beneficial – taking the accelerated depreciation or getting the maximum QBI benefit? We tested an example using $3 million in annual business income before 100% bonus depreciation on $1 million in new qualifying property per year for the first 5-years. Even though the bonus depreciation reduced the QBI benefit in the early years, the present value of the total future tax savings with 100% Bonus Depreciation was $400,000 higher over 15 years. Whether your business earns more or less than the $3 million, it’s likely worth it to take the full bonus depreciation while it’s available. This is a great example of why it’s incredibly valuable to undertake tax planning with so many new – and largely untested – tax opportunities available to small businesses. If you’re working with a CPA that isn’t running models to determine which combination of the new opportunities will save you the most in taxes, you may miss out on available tax savings. 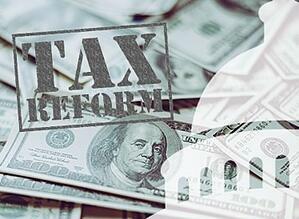 Contact us for a personal assessment of your post-tax reform situation.